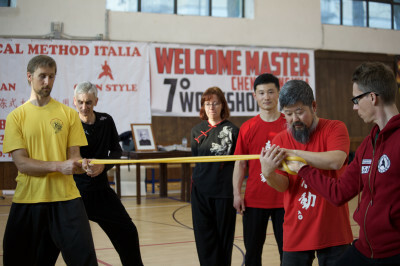 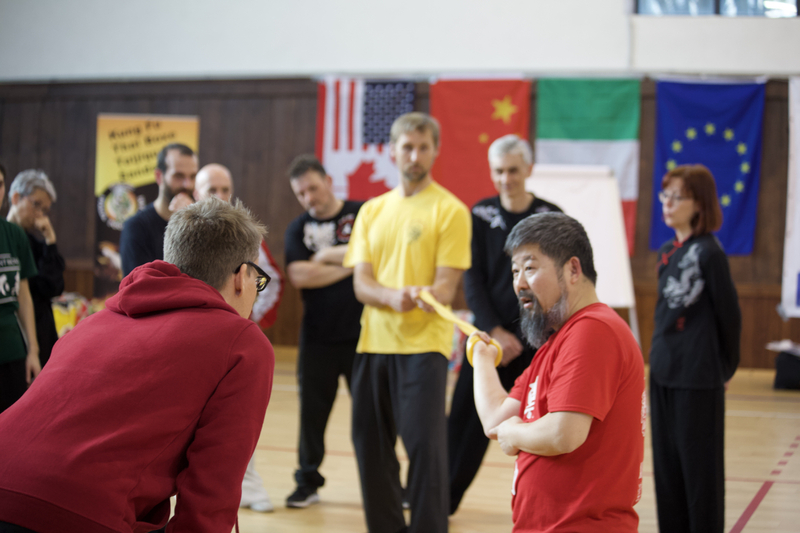 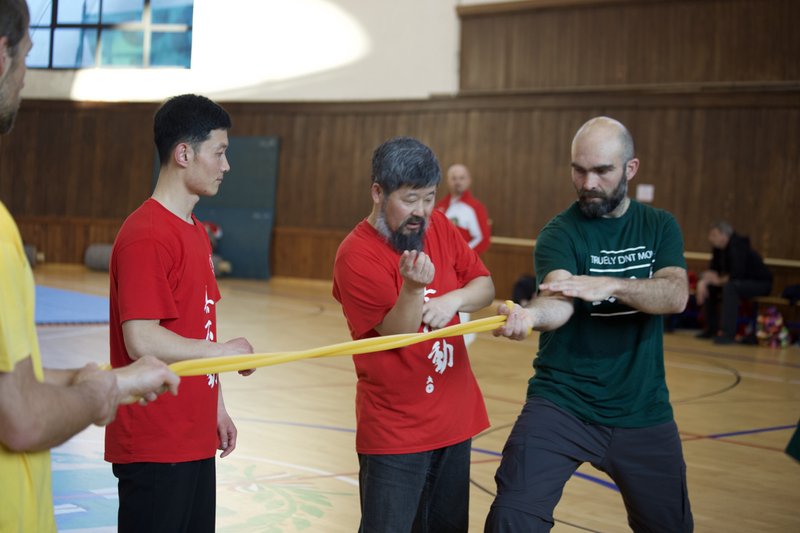 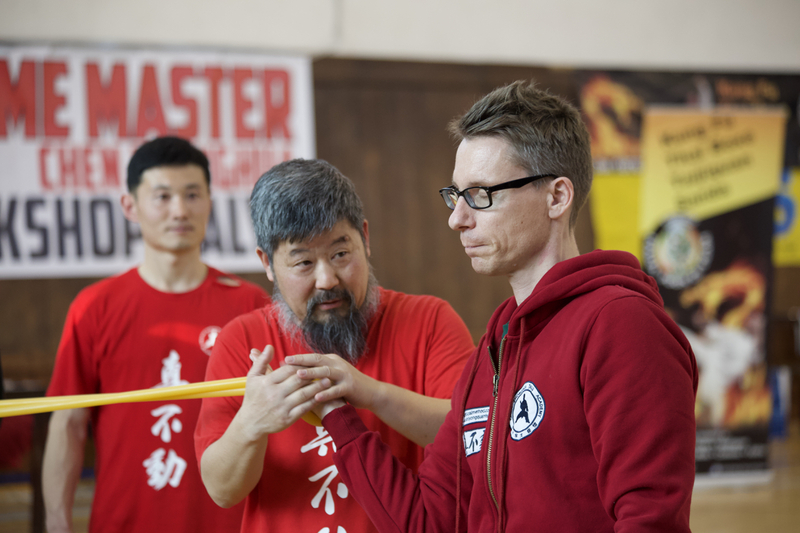 The use of rubber cords for Practical Method training at the 2019 Italian Practical Method Seminar on March 31, 2019. 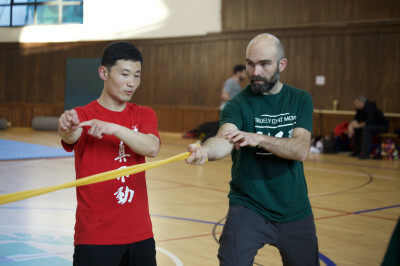 The use of the rubber cord is mainly for the training of the elbow, kua and central axis. How Can Rubber Cords Be Used in Training?